Television actor and Ekta Kapoor blue-eyed boy, Rajat Tokas is soon going to make a come back on television screens after his last show Chandra Nandini. This is known that Ekta Kapoor is coming up with the third season of his super hit show Naagin and this time the leading cast has been changed. Mouni Roy who played the leading Naagin in the show has now jumped into the movies, so Ekta Kapoor decided to go with new leading ladies. Karishma Tanna and Anita Hassanandani will be seen playing leading Naagins in this season. Well, the cast of the show is still in finalization process, it was confirmed from the announcement of the show that Rajat Tokas will be a part of the show. Rajat Tokas who had worked with Ekta Kapoor in hit shows like Tere Liye, Jodhaa Akbar, Chandran Nandini, and Naagin is like a lucky charm for the producer. However, Rajat was the part of the first season of the show but due to his another show Chandra Nandini he couldn't be able to do Naagin 2. Rajat who always has been sporting long hairs and bulked up physique has transformed him almost like a superman. Rajat has sported short hairs and a long beard and his bulked up body has made him a total Naagraaj for the show. Totally surprising but amazing new look of @RajjatTokas in his new role as ‘Naagraj’ in Naagin 3! 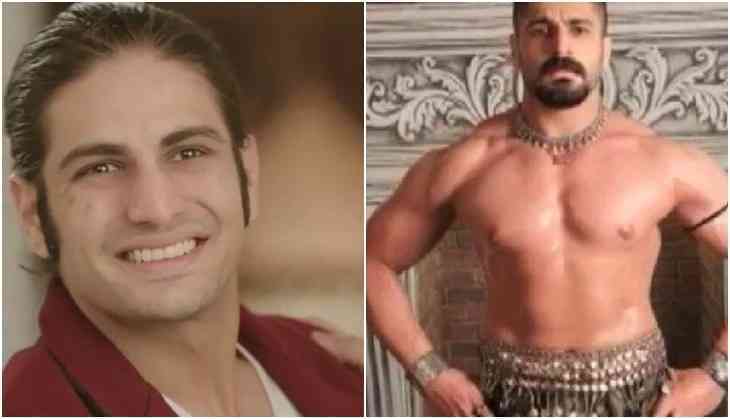 The Jodhaa Akbar actor who was seen playing Nevla Kabir in the first season will now play the kind of Naags, Naagraaj. The show Naagin 3 is soon going to on-air.